Looking for Doors, Drawers, Desks to go with your shelving? A standard single bay shelving unit without a backboard â€“ includes fascia, infills and two wall attachments. Perfect for tidying away house clutter or just keeping your favourite books in order. Our sturdy shelves blend into any environment and instantly become part of the interior design. A simple, classic look that works anywhere. 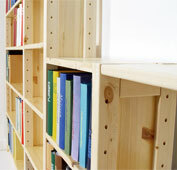 Our shelving units are also ideal for any office environment. Shelfstoreâ€™s reliable units are the perfect home for important files and folders. Easily access any files placed on the shelves thanks to our open-faced units. Take up less office space and create room for your employees to work in an open and relaxed environment. 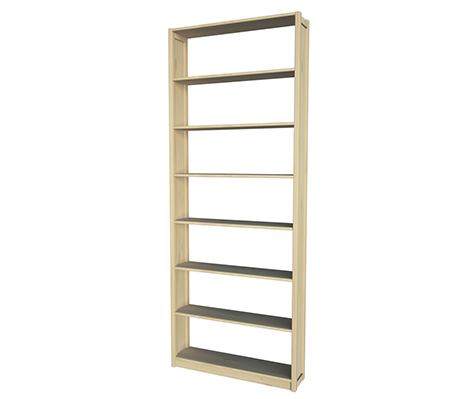 Made from a variety of high-quality woods from Scandinavia, you can be assured that our shelving units are a sustainable, long term investment that will solve your storage problems instantly. If youâ€™re looking for something a little more bespoke, please use the planning wizard to the right where you can fully customise and design your own shelving unit. Choose the height, width, depth as well as the number of shelves. Create your perfect shelving unit and watch us bring it to life.